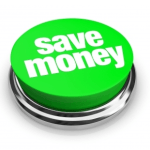 5 ways to save money on your web design project. In today’s virtually driven world, businesses large and small need an Internet presence. This is the first place anyone will go to for information. How do the little guys keep up with companies that can afford to spend thousands of dollars on web design? Inexpensive isn’t the same thing as cheap. Finding ways to save is the key to having a website that is sleek as opposed to cheesy. Consider five ways you can save when budgeting for your next web design project. There is nothing wrong with going to a professional service to create the web design, just know what you want first to save time and money. Look at other websites and make notes. Create a spreadsheet that shows the link address, and the pros and cons of the site to narrow down the features you want as opposed to what you don’t need. Pick your colors ahead of time, and be specific. Navy is not the same thing as blue. Consider hiring a freelancer or student instead of a service. This can get you the same quality for less money. For example, students are often eager to add to their portfolios. Offer to let them use your site for marketing if they do the work for free or at a substantial discount. You can go to broker services like Elance or Odesk to find freelancers who work for less money. If you have a service to offer, consider a barter arrangement. For instance, if you do contracting, perhaps you can offer free labor for a project in return for free website design. An accountant might do someone’s taxes in trade. Ask around on forums and barter sites to see if anyone is willing to exchange services. You might post a listing on Craigslist or look for a site that specializes in the trade of professional services. Some design firms give a significant discount if you give them credit for the work on each page. This is similar to a barter arrangement, except you are using your site to help improve the design firm’s Internet presence and SEO. A great way to save a lot of money on your web design is to outsource the project. Especially if you outsource to a company based in the UK, this can save you hundreds of dollars on your project. These companies or designers based out of other countries have the same skill sets as designers in our country, but they offer their services for much less than it would cost you to hire a local designer. Another way to save extra money? Purchase services together. For example, it’s a great idea to find an UK WEB DESIGN company that also does web design. That way, by purchasing both internet marketing and design services from the same company, they will give you a discount for purchasing both services from them. With the design software available, you might be surprised what you can do on your own. Instead of paying a professional to create pages, consider doing that work yourself and maybe just paying for a logo design. You can use Microsoft Office to make web pages if you take the time to learn or go with a web host that has templates to use for easy setup. You can also sign up for free or inexpensive classes to improve your skills. It is no longer a question of whether you need a website or not – you do. The question is how much you are going to spend on one. Big corporations dump thousands of dollars into their web offerings. You can afford to be less extravagant. Finding ways to save means you get something almost as sleek just on a limited budget.